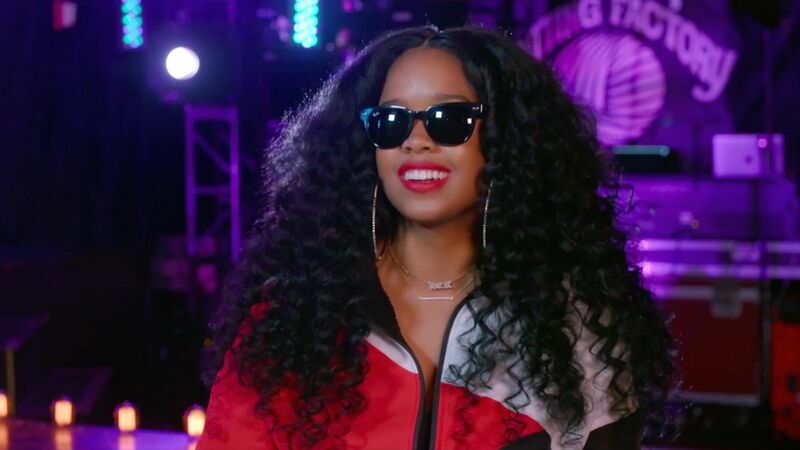 For years, R&B singer-songwriter H.E.R. diligently concealed her identity, letting her poetic, slow-burning music speak for itself. Little by little, though, she’s been peeling back the layers, giving her growing fanbase glimpses into the woman behind the soulful voice and the dark sunglasses. It couldn’t come at a bigger time for the 21-year-old, whose career reached a milestone in December when it was announced that she was nominated for five Grammys, including Best New Artist and Album of the Year. To hear H.E.R. — who’s MTV’s Push: Artist to Watch for the month of February — tell it, she’s finally where she’s supposed to be. 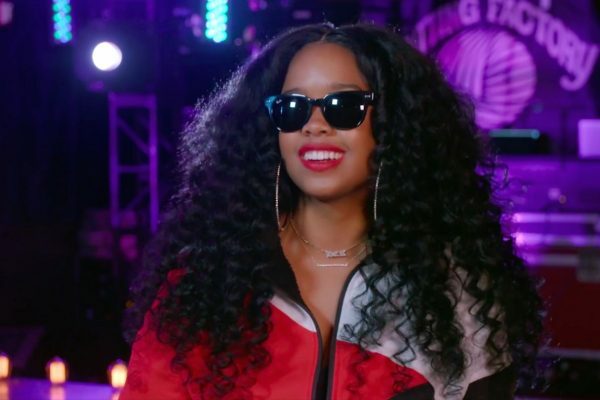 That journey toward stardom — however unconventional it may have been in today’s social media-driven era of oversharing — began when H.E.R. was just a little girl. She grew up around music, and the first time she performed on stage was with her dad’s cover band at a local Bay Area festival, where she sang Alicia Keys’s “If I Ain’t Got You.” She later started writing her own songs and learned how to play the keyboard, guitar, and, at her mom’s urging, the bass. “It was so cool, ’cause I was a young girl playing the bass. Not many females play bass,” she recalled. H.E.R. still plays those instruments today — in fact, in her exclusive MTV performance of “Carried Away,” she effortlessly bounces between all three — and she believes that focus on instrumentation is making a big comeback this year. H.E.R. is unquestionably part of that class of musicians making power moves — she may have kept a low-key profile at first, but she’s now a high-key superstar, as evidenced by her handful of Grammy nods, millions of streams, and a loyal following that happens to include Rihanna. Hey, it’s worked for H.E.R. See the singer’s performance of “As I Am” below, and check out more of her exclusive Push content here. Big Boi is the talk of the town right now. The legendary Atlanta emcee and lyrical half of Outkast showed out at the Halftime Show for Super Bowl LIII last night. Now he’s keeping the momentum going with the announcement of a reunion tour for Dungeon Family. The trek across the United States kicks off on April 14 in Chicago. Don’t worry, there is still plenty of time to get tickets. Dungeon Family is the collective that birthed Outkast, Goodie Mob, Sleepy Brown and more over two decades ago. Joining Big Boi on tour for the reunion are Goodie Mob, Sleepy Brown, KP the Great, and Organized Noise. In 2016, the collective reunited at the ONE MusicFest in Atlanta where they played a medley of some of their greatest hits. It’s hard to imagine an entire tour‘s worth of these moments where nostalgia and smooth music embrace. 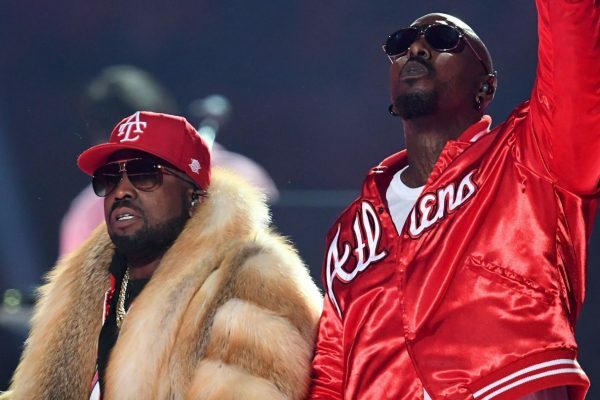 Big Boi jumped the gun of the announcement by releasing “Doin’ It” and “Return of the Dope Boi,” teasing an imminent comeback. That return to prominence was christened with his awe-inspiring, Cadillac-fueled, performance at the halftime show of Super Bowl LIII. He may have only played a couple of songs, but it’s his memorable medley that makes us excited for the tour. That, and the prospect of hearing “Shutterbug” live. 21 Savage was arrested yesterday morning (February 3) by U.S. Immigration and Customs Enforcement for allegedly being in the United States illegally. Though he’s long been associated with Atlanta, the hip-hop hub that spurred his career and growth, ICE claims that the rapper, whose real name is Shayaa Bin Abraham-Joseph, is actually a U.K. citizen and has overstayed his visa for more than decade. 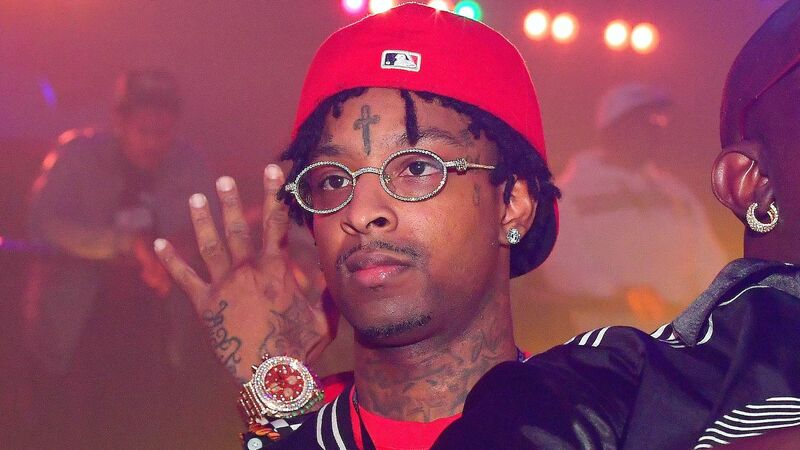 In a “targeted operation,” a term used by ICE spokesman Bryan Cox in a statement, 21 Savage was arrested along with fellow Atlanta rapper, his cousin Young Nudy, and two other men early Sunday morning. After police officers ran Savage’s name through the system (Young Nudy and the two other individuals were apparently the target of the operation), he was handed over to ICE after the returned information revealed that his visa expired in 2006. It’s interesting to note that 21 Savage has toured extensively and has yet to hit any public red flags like this before. His recent performance of “A Lot” on The Tonight Show Starring Jimmy Fallon featured changed lyrics that touched on the absurdity of immigration protocols in the country: “Been through some things but I can’t imagine my kids stuck at the border / Flint still need water / People was innocent, couldn’t get lawyers.” The show aired just last week. 21 Savage amassed a fanbase with his chilling street raps about Atlanta’s harshest neighborhoods, but that wasn’t the only story that he was telling. For the last three years, the rapper has hosted a children’s event called “Issa Back to School Drive” each August. 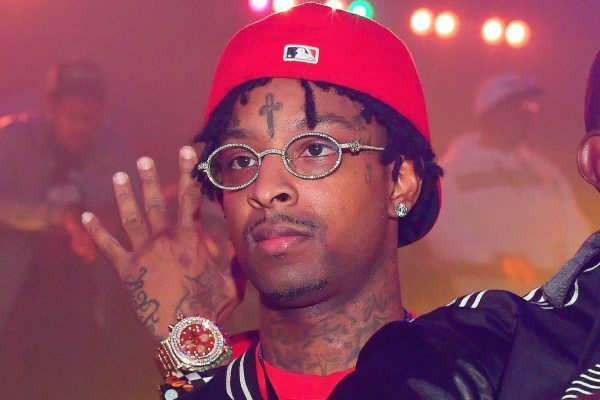 Last March, he announced an educational effort for children’s financial literacy called 21 Savage Bank Account Campaign, named after his debut studio album Issa Album single, “Bank Account.” Last July, he donated $10,000 to fund an anti-bullying campaign to Atlanta’s Continental Colony Elementary School. His new album, I Am > I Was, which dropped in December, preached growth and becoming a better person. Rozzi’s “Bad Together” — the deeply personal track from her debut album of the same name — deserved an equally-personal video. And the singer-songwriter happily obliged. Two months after dropping Bad Together in November of last year, Rozzi is releasing the one-shot music video for her title track today and gave TRL the exclusive first look. 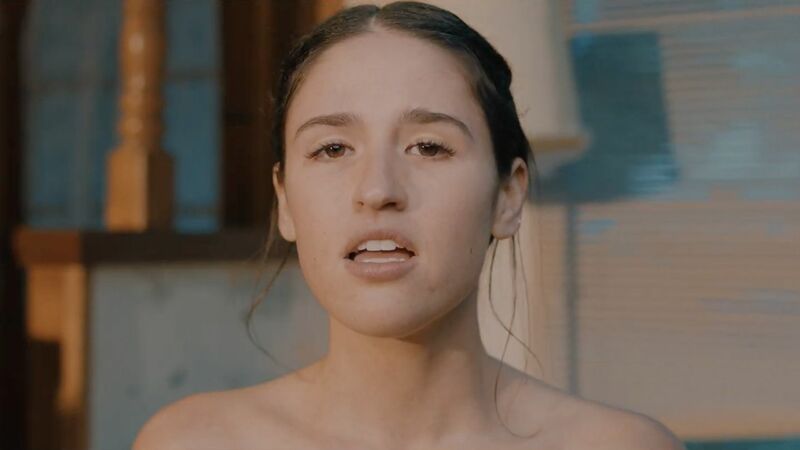 Rozzi might as well offer tissue boxes to viewers of the video, too, as her fans will feel the San Francisco native’s break-up pain for all three minutes and 45 seconds. Though she may have written “Bad Together” for herself, Rozzi’s soaring yet raw vocals on the track, accompanied by her no-holds-barred lyricism, makes the song relatable to anyone who’s gone through the end of a relationship. Directed by Nick Leopold, Rozzi’s mission for the video came to life. Looking straight into the camera, Rozzi doesn’t just sing “Bad Together” as the background moves behind her – she performs it. Open up your heart and check out Rozzi’s music video for “Bad Together,” below. 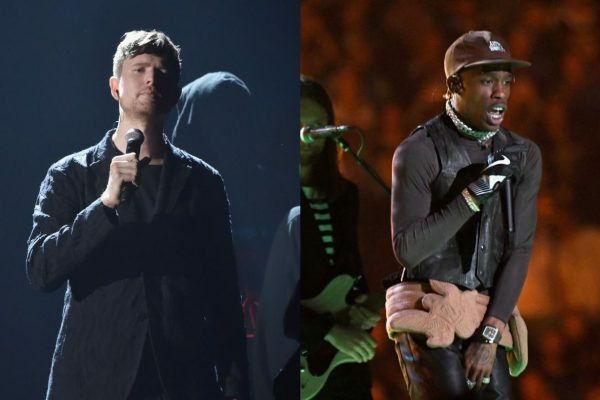 Tonight’s Super Bowl LIII halftime show in Atlanta was a mesmerizing experience for both rock and hip-hop fans. Maroon 5, Travis Scott, and Big Boi all came together for a thrilling show that brought some excitement to a game that started slowly. Check out the performance below. 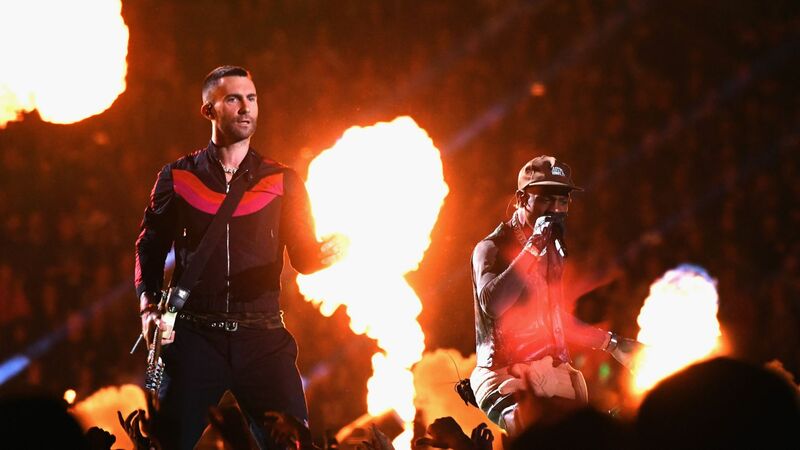 Maroon 5 began the show with an ethereal performance of “Harder to Breathe’ as plumes of fire raced around the outer edge of the M-shaped stage. They went into “This Love” immediately after — complete with a guitar solo from frontman Adam Levine. After an introduction from SpongeBob Squarepents, Scott then launched into a mosh-worthy rendition of “Sicko Mode” as flying meteors crashed to the ground. He brought fire to the performance as well, with thick, billowing flames that made the stage look like it was being destroyed in real time. 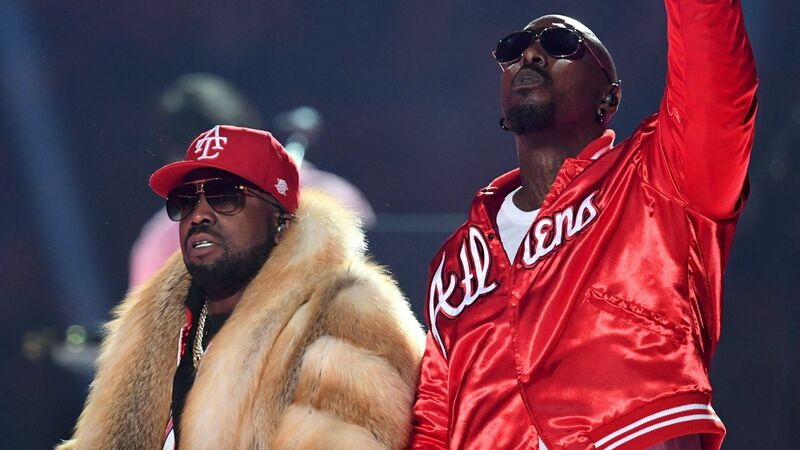 Backed by his 2006 single “I’m On It (Kryptonite),” hometown legend Big Boi then drove onto the stage in an antique convertible Cadillac while wearing a mink jacket. 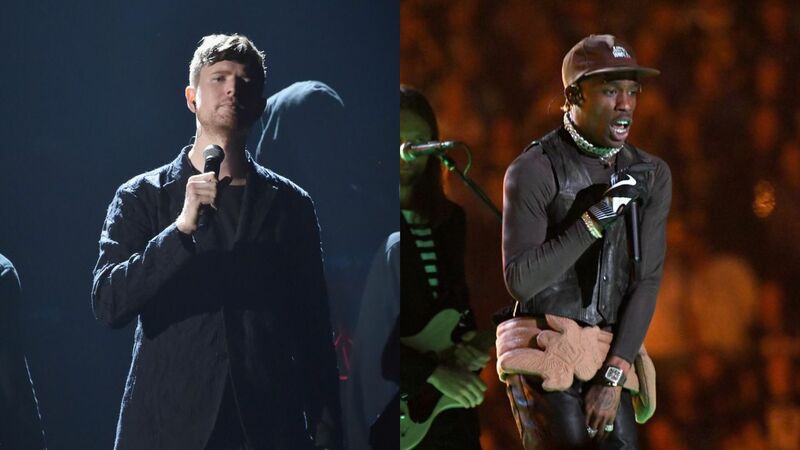 He followed it up with “The Way You Move” with collaborator Sleepy Brown as Maroon 5 danced along with them for a soothing, soulful experience. 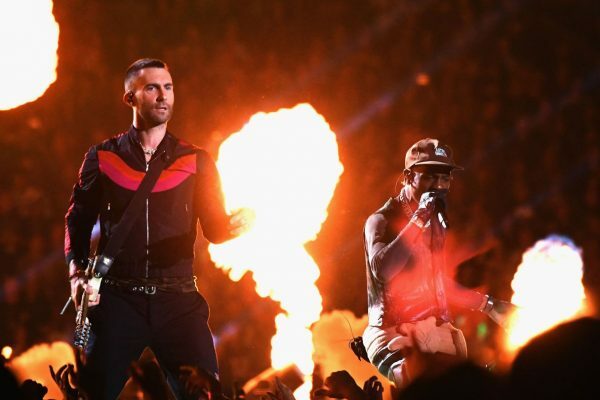 The performance ended after Maroon 5 retook the stage for a medley of “Sugar” and “Moves Like Jagger.” Once they finished these two final numbers, an assortment of fireworks exploded into the sky over Mercedes-Benz Stadium. Though Super Bowl LIII has lacked in drama, the halftime show gave the night some much-needed life. 21 Savage has released the video for “A Lot,” the introspective first song from his new album I Am > I Was. J. Cole is here for his verse, which is suspiciously absent from the physical CD version. The same amount of soul evident in the smooth tune exists here, making us both hungry and thankful for family at the same time. In a stark departure from his more lavish visuals, “A Lot” keeps things simple. 21 Savage and J. Cole attend a family gathering complete with fresh home-cooked foods, smiling extended relatives, and a beautiful, yet slightly imposing, mansion. But with large family comes emotional baggage and we get a peek into what these people carry — from dead friends to incarcerated associates. In the midst of all of this, 21 Savage makes it clear that living in the moment is what’s most important. 21 Savage’s I Am > I Was became his first album, following 2017’s Issa Album, to debut at No. 1 on the Billboard 200. It sold 131,000 units in its first week. Earlier this week, 21 Savage and a mesmerizing sequin jacket, as a replacement for J. Cole, performed “A Lot” on the The Tonight Show Starring Jimmy Fallon. Ariana Grande’s trap-infused, Thank U, Next single “7 Rings” came with a visual centered around an iconic pink house. 2 Chainz noted the similarities to his own Pink Trap House promotion and Grande’s video, sparking rumors that the situation created bad blood between them. Grande ended all speculation with the release of the official remix of “7 Rings,” featuring Chainz himself. The rapper adds a snarky, telling verse to the original. Listen to the remix below. 2 Chainz’s funny barking is displayed in full force on Grande’s single. Among his typical barrage of jaunts, jest, and similes, there’s one line that seems to acknowledge his influence on the “7 Rings” music video: “My ideas are priceless / I know I’m the nicest,” he raps. 2 Chainz released his fourth studio album, Pretty Girls Like Trap Music, in 2017 and opened up a pink house in Atlanta known as the “Trap House” as a promotional attraction. Since its opening, the house has offered free HIV testing, Halloween attractions, and a number of other community services and activities. Grande’s upcoming album Thank U, Next drops on February 8. The song “7 Rings” was responsible for Grande’s recent tattoo snafu when she had Japanese kanji characters for “small BBQ grill” etched on her skin instead of the song’s title. But don’t worry — it’s since been fixed. Can anyone emote quite like Ben Platt? Known for his emotionally devastating performance in Dear Evan Hansen on Broadway — which earned the singer a Tony, Grammy, and Emmy by the age of 25 — Platt is now baring his own soul to the world with his forthcoming debut album, Sing to Me Instead. On Friday (February 1), the performer released the first two tracks from his first solo studio release, including its lead single, “Bad Habit.” The piano ballad finds Platt yearning for a former love, the lingering thoughts of whom he can’t seem to kick — like a bad habit. The song builds and ultimately swells to a crescendo of raw emotion and pitch-perfect vocals. In the video, Platt sits at his piano and belts out the song, before taking a cab to a photo gallery full of snapshots from what appears to be a past relationship. It’s a simple yet deeply intimate look at a young artist shedding his skin for everyone to see. The second single, “Ease My Mind,” is another piano-driven track, but this one finds the singer-songwriter opening up about an anxiety that only a lover can quell. The powerful song is tinged with R&B and gospel, and if it’s indicative of what else we can expect from the 12-track LP, then we’re definitely in. Sing to Me Instead drops March 29 from Atlantic Records. One of Nicki Minaj’s longtime strengths has been her willingness to get crazy. Her name is practically synonymous with theatricality. On Friday (February 1), she released a demonic new visual for “Hard White” that shows how much she goes the extra mile with her work. It reaffirms her queen status in the realm of the living, although it’s shot in the realm of the dead. The visual is made up a mix of dark magical scenery and twisted backdrops. Nicki appears as a witchy figure, wearing a mix of costumes that look both majestic and increasingly terrifying. There’s one scene that looks to be a futuristic throne room where she operates in full control. In others, there are naked, painted people moving demonically. Its title may be “Hard White,” and while white historically has symbolized purity, this lavish, sinister video represents anything but. In the midst of the frantic movements and simmering flames, Nicki raps about her twisted rule of rap’s domain. “Mirror, mirror, who’s the fairest? / You the motherfucking fairest, Nicki,” she raps, repeating a line delivered by the Evil Queen of the classic film Snow White & The Seven Dwarfs. That bar alone really sells the idea of the song, that a hard-nosed dominating woman emcee is perched upon her throne. “Hard White” comes from Nicki’s 2018 album, Queen. It’s the fifth single following “Chun-Li,” “Bed,” “Barbie Dreams,” and “Majesty.” She’s getting ready to go on the European leg of The Nicki Wrld Tour with Juice WRLD, who replaced Future as the co-headliner. She dropped the equally captivating video for “Good Form” in November. Watch the chaos unfold in the video above.